Berkshire Hathaway CEO Warren Buffett discusses his $400 million bet on housing and his views on the Fed raising rates. 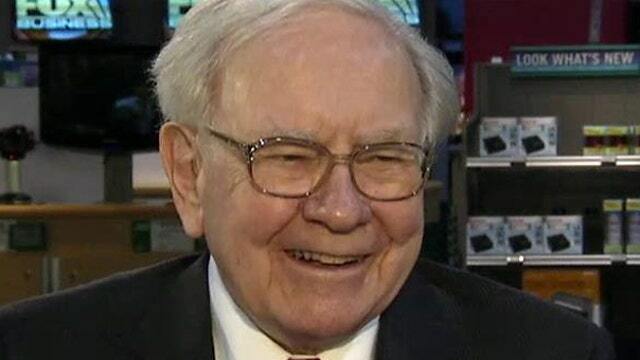 Warren Buffett, the famed investor and Berkshire Hathaway (NYSE:BRK.A) chief, told the FOX Business Network Wednesday that the Obama administration should approve TransCanada’s (NYSE:TRP) Keystone XL pipeline. “But that&apos;s always a problem with pipelines. There’s a lot of the not-in-my-backyard problem, but I think, by and large, Keystone should be done,” Buffett added. The billionaire investor also put his political support behind former Secretary of State Hillary Clinton, saying he’s back her “100 percent” if she runs for president in 2016. “If she runs, she’ll win,” Buffett predicted. Would he consider supporting former Florida Gov. Jeb Bush? “I think he’s a fine guy, but I’m for Hillary,” Buffett said. Buffett, who is celebrating 50 years at the helm of Berkshire, commented on a wide range of issues facing his international conglomerate and the U.S. He confirmed that Berkshire will release more than just its annual letter this year. Buffett and Charlie Munger, Berkshire’s vice chairman, wrote separate letters that look ahead to the next 50 years. Buffett said the two business partners are done with their letters, but they haven’t shared them with each other. “Charlie hasn’t seen mine. He doesn’t care what I say,” Buffett joked. Reflecting on his 50 years leading Berkshire, Buffett said he made a terrible mistake by selling his early stake in Walt Disney (NYSE:DIS). Current Disney chief Bob Iger is a “home-run hitter,” he added. Today, Berkshire owns a large portfolio of companies that includes Geico, BNSF Railway and Heinz. Berkshire also owns significant investments in Wells Fargo (NYSE:WFC), Coca-Cola (NYSE:KO), American Express (NYSE:AXP) and others. According to Buffett, the Omaha, Neb.-based giant is working on acquiring a small European company. Geico was his “first love,” and Buffett praised the insurance company’s CEO Tony Nicely, who surprised Buffett by joining him during the interview. “No one has done more for Berkshire Hathaway than Tony Nicely,” Buffett said. Speaking on the U.S. economy, Buffett believes that it would be a mistake for the Federal Reserve to raise interest rates in 2015. “I think it’s going to be very tough to raise rates when you’ve got what’s going on around the world,” he said. Buffett also remarked that a 30-year government bond is the last asset he would buy today, citing the coupon of just over 2%.